Here are some of the natural remedies Eileen shared with me for insect bites and a non-toxic household ant repellant. Take 3 drops of echinacea tincture mixed with 3 drops of goldenseal tincture in distilled water twice daily for 5-7 days. Mix aloe vera gel with equal amounts of lemon juice and apply to the bite to reduce swelling and itching. Of course with any insect or animal bite, eliminate all sugar and concentrated sweeteners from your diet and increase your low starch veggie intake along with liberal amounts of Bieler’s Soup. Since Eileen told me many times that a small amount (the operative word is SMALL here) of lemon acts as a cleanser to the system, I would always add a squeeze of lemon to my Bieler’s Soup. I asked Eileen once about her feelings regarding the popular lemon juice/cayenne pepper/maple syrup daily cleanse and her response was that “less is best”, using a remedy as stimulating as this one only when needed AND if the adrenals are relatively strong/thyroid not over stimmed. She went on to say “when needed” would be at the onset of a cold or flu if the weather was cold and only once daily for a day or so. Stir until well blended and sprinkle at the entrance of any ant trails. This remedy has always worked like a charm for me over the years! Years ago when I was working long days and going to acupuncture school at night, Eileen recommended this recipe to me to keep my energy steady by starting the day off right. * optional: 1/2 cup cooked brown rice, quinoa, oatmeal, buckwheat, or rye flakes. Arrange the zucchini slices on the bottom of a non stick skillet and add about 1/3 cup of water. Cook covered over medium heat until the zucchini is just fork tender. Remove the lid letting any remaining liquid to almost evaporate. Add the oil and break the two eggs over the zucchini topping with the parsley or cilantro and pinch of salt. Cover for 2-3 minutes or until eggs are just set. Slide out of skillet onto your bed of grain. Serve with an additional cup of Dr. Bieler’s Soup for maximum health benefits. NOTE: I always have containers of cooked grains on hand in the frig making it quick and easy to add to meals or snack. To add some texture and variety, I mix two different grains together. Since I am a predominant “Thyroid Type” in Dr. Bieler’s system with weaker adrenals, Eileen told me I would always need a bit more protein to even me out and support my adrenals. She told me the small pinch of salt early in the day would also give a small lift to my adrenals without over stimulating them. According to Dr. Bieler & Eileen, Thyroid Types need a little more starch in their diets than the other endocrine types especially in colder weather. Eileen also recommended I have a good quality cold pressed hazelnut oil in small amounts a few times a week to support my central nervous system which tends to be sensitive. This next recipe is a light, satisfying snack I can easily carry with me when I’m on the go. Put all the above in a blender and frappe until smooth. NOTE: If I’m taking this with me for later in the day and have no refrigerator available, I will partially freeze the mixture in the container I will be taking with me. This way it is thawed by the time I will use it. My favorite fruits to use are: papaya, blueberries, raspberries, strawberries, Babcock peaches & kiwi. Sometimes I add some lemon or lime zest for flavor before blending. Eileen always told me that bananas were best eaten as the only fruit in recipes because they are so rich and filling. I will often mix small amounts of several different fruits for variety…of course not with bananas. Eileen suggested this next recipe to me many times over the years when I’ve felt run down or just needed a pick me up. Blend well with either a hand blender or in a blender. NOTE: Eileen told me this recipe was best taken in between meals, first thing in the morning 1 hour before breakfast, or as a meal substitute. When I was going through menopause, she suggested I have an egg nog before bed to help lull me to sleep. In the early days, stevia was not in the recipe. It’s also something Dr. Bieler mentions in both his books sans the vanilla and stevia as a tonic for the adrenals. Since stevia became available, Eileen told me I could use it daily if I wished in small amounts. She also said most people can handle it if used in small amounts because it is of course very concentrated. 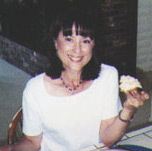 Eileen also shared that she found stevia functioned like a tonic in small amounts. Over the coming months, I will be sharing more of my favorite recipes that Eileen has given me over the years.